The Vermont Department of Liquor Control (DLC) was created in 1933, when the 21st Amendment to the U.S. Constitution repealed the Volstead Act (Prohibition). Control of the sale and distribution of alcohol was then transferred to state governments. In response, all states instituted some form of three-tier system of producers, wholesale distributors, and retailers to promote moderation in consumption, prevent concentration of power, and raise revenues through taxes. 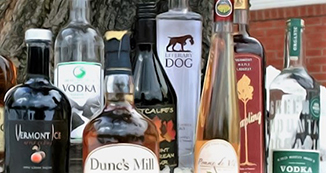 Vermont, along with sixteen other states and two counties in Maryland, directly control the sale of liquor at the wholesale level and are considered “control states” or “control jurisdictions”. A number of these jurisdictions also control retail sales which means their citizens purchase liquor at a state liquor store or a designated agency outlet. Vermont owned and operated many of its own stores until 1996, when the State opted to transition completely to an agency system. Agency stores are privately-owned retail locations that contract with the Department of Liquor Control to sell spirits for the State. Vermont currently has 78 agency stores, conveniently located around the state. Our agencies offer consumers a wide range of shopping experiences, from liquor stores within large grocery store chains to local mom and pop stores. Our partnership with these stores allows for a wide variety of products at consistent pricing throughout the state. At Bennington Beverage Outlet, along with providing our customers a great variety of wines for purchase, our staff strives to educate them as much as possible about the wines they drink. With that goal in mind, every month we host an in-store wine tasting for our customers. Topics and themes featured may include; grape varietals, specific wineries, individual wine makers, and/or the numerous regions around the world. A friendly and knowledgeable staff, unbeatable prices, extra reward points on your BBO card and lots of fun are just a few things you can expect at our tastings! So please, join us won’t you? For the latest News, Events and to join our BBO Rewards program. Enter your E-mail today!